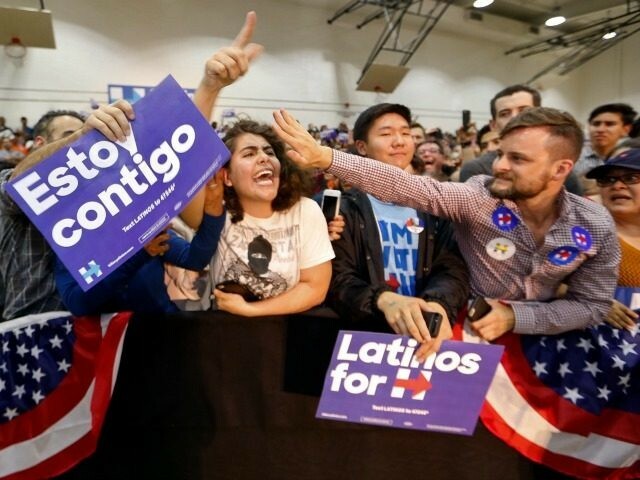 “I got to start by saying, that on Cinco de Mayo, I can’t think of a better place to be than right here,” Hillary Clinton said after arriving to an event in East Los Angeles. But she and her supporters were repeatedly harassed by hundreds of protesters, in an environment that quickly became hostile for anyone supporting the former Secretary of State. Welcome to East Los Angeles College! Latino union organizer outside HRC's LA event tells protesters to "go home." "F*** you white washed," yells pro-Sanders Latino protester. Breitbart News reporter Daniel Nussbaum as also present at the rally.